The Scottish government’s announcement that it would be putting in place a moratorium on granting planning permission for underground coal gasification (UGC) projects until the outcome of a potentially lengthy independent investigation could result in claims under the European Convention on Human Rights. The Scottish government has appointed Professor Campbell Gemmell, the former chief executive of SEPA to lead an investigation of unspecified scope and duration into “the issues and evidence surrounding UCG”. In tandem with that announcement, Scottish ministers issued a legal direction to local planning authorities which requires them to advise ministers if they receive applications for UCG development. Ministers will then have the opportunity to consider whether they, rather than the council in question, should determine the application. A separate direction of similar effect has also been issued to SEPA in relation to applications for necessary consents under water environment legislation. Any UGC project will have to go through a full environmental impact assessment process under planning law and be subject to extensive local consultation before an application for planning permission is submitted, and it is likely that any of the issues that Professor Gemmell might want to explore will be dealt with in detail for each UCG project. Regardless of the announcement, planning authorities and Scottish ministers have an ongoing legal duty to determine planning applications. The ECHR guarantees the applicant the right to his application being determined within a “reasonable period of time”. If those rights are breached the applicant may apply to the courts to force a decision to be taken on the application and may be entitled to damages. 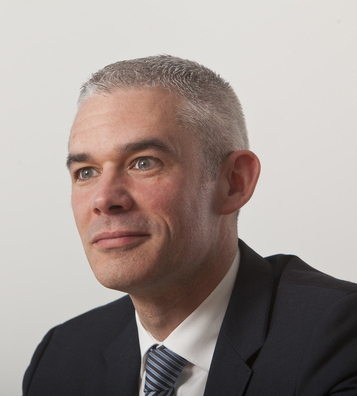 Shepherd and Wedderburn partner, Ewan MacLeod suggested that a failure by ministers to take a decision on a planning application simply because the independent investigation has not been completed could result in a breach of the applicant’s human rights. Mr MacLeod, who is an accredited expert in planning law, said: “Potential applicants will no doubt agree with Fergus Ewing’s commitment to a “full and careful consideration of the potential impacts” of underground coal gasification. “However, a properly prepared application will undoubtedly contain all of the information that Ministers need to understand the impacts of the project in question and to decide whether planning permission should be granted. “The ECHR guarantees applicants the right to have their applications determined within a reasonable timescale. I struggle with the concept of a national moratorium on taking individual decisions when all of the key information for the project in question will be available.